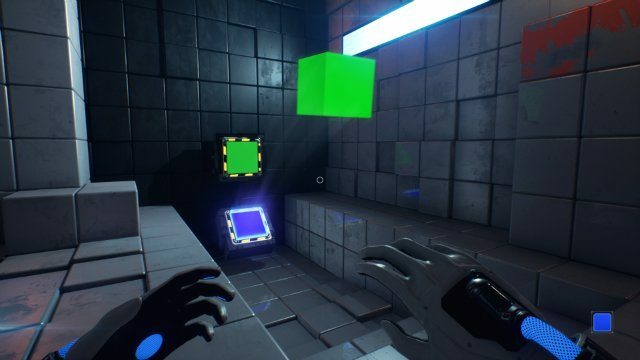 Toxic Games has finally announced an official release date for QUBE 2. QUBE 2, stylized as Q.U.B.E. 2, is the highly-anticipated sequel to the physics-based puzzle game, Q.U.B.E, which is an abbreviation of “Quick Understanding of Block Extrusion.” The first game was released on Desura in 2011 and later on Steam in 2012, and was often compared to the popular Portal series. 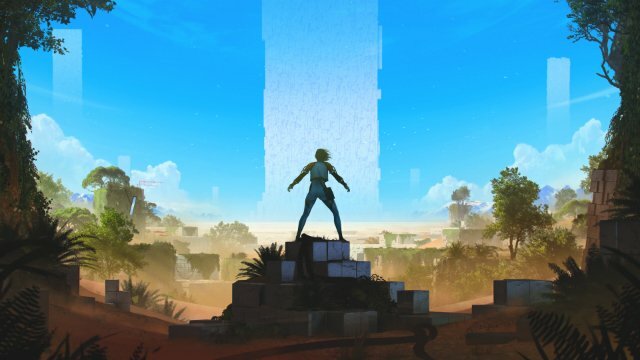 Players will be assuming the role of protagonist Amelia Cross, a stranded archeologist who suddenly awakens in the ruins of an ancient alien landscape with no recollection of how she came to be there. With the help of fellow lost survivor, Commander Emma Sutcliffe, players will have to explore this unknown world in order to return home. In the beginning of the game, players will find themselves wearing a strange suit with gloves attached. These “manipulation gloves” will be required to alter and navigate the architectural maze-like monolith awaiting players in the game. The player’s true purpose and origins of the monolithic structure will haunt them every step of the way throughout the journey to rendezvous with Commander Emma Sutcliffe. There will be over a whopping 80 puzzles for players to solve, from physics-based challenges to 3D jigsaws and platform-based trials. Players will be manipulating blue, green and red blocks, with each block conveying a different function. For instance, placing a red square on the designated space will conjure a long rectangle, while the blue square can be used as a launch pad, throwing the player and other blocks around the landscape. The gameplay mechanics have been improved from the original QUBE, accompanied by an original musical score by BAFTA-nominated composer, David Housden. Toxic Games was established in 2010 by three former classmates in the UK, who began developing Q.U.B.E. as a student project in 2009. The trio of Daniel Da Rocha, Dave Hall, and Jonathan Savery managed to become independent developers in their own right, with the assistance of veteran indie games developer Indie Fund. QUBE 2 will be released on the PS4, Xbox One and PC on March 13, 2018.